The Pilot Club of Andalusia this week chartered the first Compass Club since the club for younger men and women was reestablished. Pilot International Secretary Collett Cross said that the moment marked a historical event. Cross said that there was a time when Compass was established and had members. Lisa Patterson , director of the executive committee of Pilot International, said that each chartering member will occupy a place in history. The Compass Club is only for ages 18 to 26. For the club to be chartered there needed to be five members. They include Katrine Christensen, Elisabeth Christensen, Kami Price, Heidi Cross and Taylor Smith. 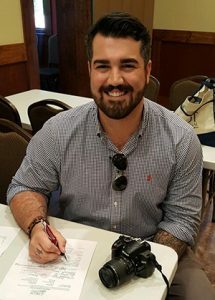 Christopher Smith, a reporter covering new releases, recently joined increasing the club membership to six. The Compass Club of Covington County is required to have six meetings per year and meetings may be held electronically, giving young adults from Covington County attending college in other locations or states the opportunity to be a member. For more information send your request to susan@pilothq.org.